For those of you that have known me for a while, you know I am a plain and picky eater, or at least I used to be. I still like things plain, my sandwiches are usually just meat and cheese and that’s pretty much it. Sometimes I branch out but it’s rare. I eat based on texture and there are certain foods I just hate the texture of! Like tomatoes! Those slimy things gross me out, but I love ketchup and tomato sauces. I also hate onions, again the slimy texture! I also have acid reflux which makes it hard for me to eat certain foods without getting sick. This has definitely changed my diet. My recent love of blogs has opened my eyes to new types of foods and I’ve been willing to try new things! In the last couple years I have gotten more adventurous trying octopus, cow intestines, and guinea pig just to name a few. Now I’m beginning to try healthier foods. 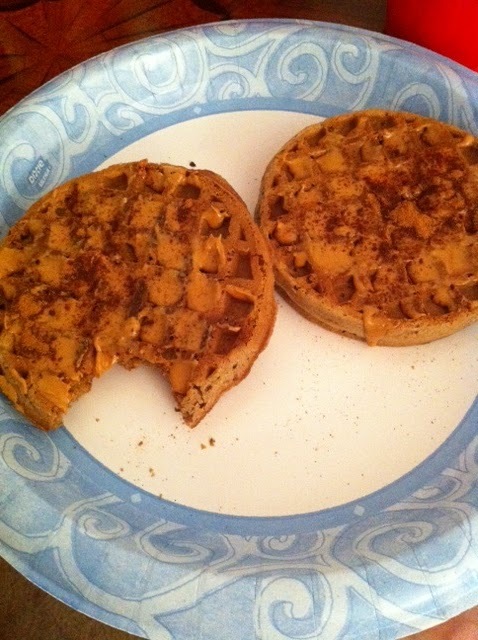 My new healthy breakfast, whole wheat waffles with almond butter and cinnamon sprinkled on top. So yummy!! I’m also into oatmeal! Speaking of Almond Butter, I think I’m in LOVE! 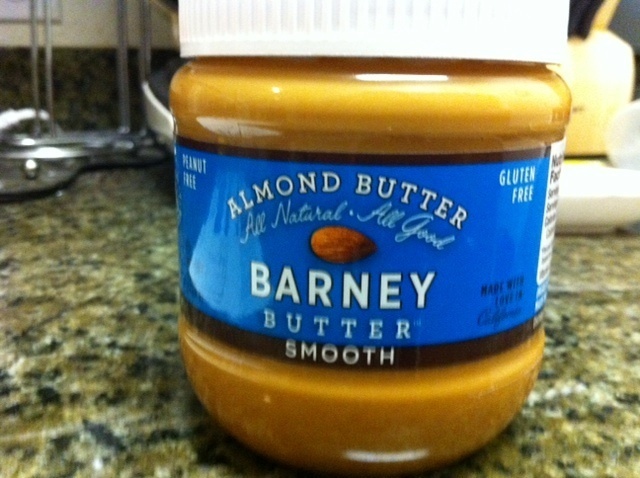 I like the flavor better than peanut butter and it doesn’t hurt my tummy like peanut butter. So far I’ve just put it on waffles, but I’ve been busy working and not able to experiment more with it! If you’re in Vegas and looking to pick it up I got it at Glazier’s! 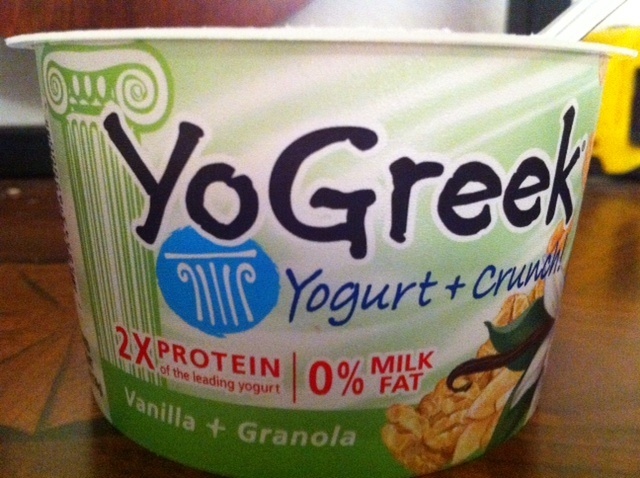 Another new find is greek yogurt. My mom has been eating this for a while, but I’ve never been much of a yogurt fan. I finally gave in and bought this. I think the granola is what sold me! It has a separate granola spot and you just bend it up and pour it into the yogurt. Greek yogurt was decent, I like things sweeter so I added a packet of splenda and that made it YUMMY!! I’m really trying to broaden my eating options (in a healthy way) and these are just a few ways I have! What healthy foods do you like? What new things have you tried recently?? What foods are you afraid to try? ?